This course is not up to date anymore. Please do not enroll. It is the first dollars that are the most difficult to earn on the internet. This is the perfect course to learn how to start earning money on the internet. The best about this system is that it is completely for free ! Contrary to most systems that provide you with a way to earn money online, you do not have to invest first in order to see that your earnings will never match what was promoted. Get income as soon as you start ! I'am working online for several years and have accumulated a lot of experience and knowledge. In this system I combined many different free services (sell list below) that allow you to earn money online. What makes the system interesting is the way these services are combined. The principle is very simple, we create a page and drive traffic to it. Each time somebody sees the page, you will directly earn money and in addition you will promote a program of your choice and have the chance to get referrals for it. This will allow you to increase your earnings in the long term. In a nutshell, all you have to do is to drive traffic to your page and you will earn! Easy isn't it? The objective of this course is to show you how to build your money page and how to drive traffic to it. - You will learn how to get get a free website with biz.nf and a free domain. - I will provide a free html template and show you how to upload it to your server space. 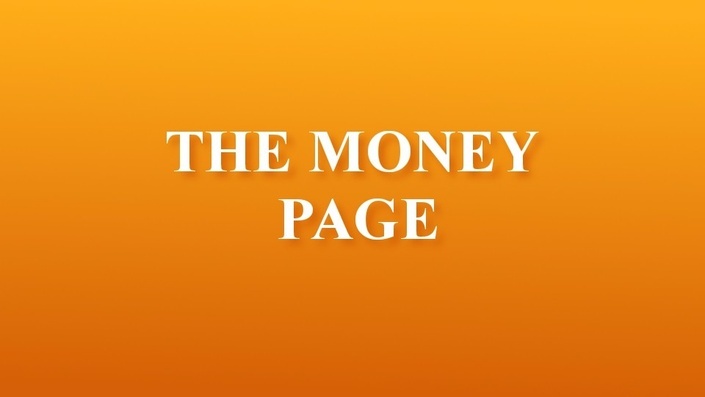 - We will build this page together in order to get your own money page. Each time somebody will see the page, you will directly earn money. The visitor will not have to click anything or buy anything. Just a visit will be enough. - At the same time, I will show you how to promote stuff on this page so that you can get referrals that will grow your income in the long term. - You will see how you can drive traffic to your page by using free services. Want to see some examples of such a money making machine? Get your free personal website ! Let's earn some money ! No, this course is really free of charge. I will only present you services that can be used for free. It will always be up to you to choose which services you want to enroll with. How much can you earn with this system? This course is designed for people who want to start earning money online. Who do not want to invest anything and for whom a couple of dollars can make a difference. At the beginning you will earn cents, with time however you will earn dollars. The amount you earn depends of how much traffic you manage to drive to your page. Do I need coding skills to build this system? In this course, I will help you to build your own website. I will provide a free template with most of the code already implemented that you can simply copy and paste. I will also show you how to add the additional code that we will get from the free services. So you do not have to know how to code but I promise you that you will learn some basic coding along the way. I already have a webpage can I still use this system? This course is not free anymore to prevent people from enrolling. The course is not up to date anymore.